Avery Elle Clear Stamps YOU'VE GOT THIS ST-19-05 at Simon Says STAMP! ST-19-05 This item is on reserve until If you would like to reserve this item now, you may purchase it now with the rest of your order. We will hold your order now and ship your entire order as soon as this item is back into stock. If you would like your order to ship now, please place this item on a separate order. Success, Avery Elle Clear Stamps YOU'VE GOT THIS ST-19-05 has been shared! Use the You've Got This stamp set to create the perfect card for encouragement. This set includes so many different sentiments to let someone know you are thinking of them. 16 total stamps. Thinking of you sentiment stamp measures: 3.75 x 1.125 inches; I am sorry you're going through this sentiment stamp measures: 2.125 x .125 inches; I'll be here for you every step of the way sentiment stamp measures: 2.438 x .125 inch. Avery Elle's Exclusive clear stamps are proudly made in the USA. 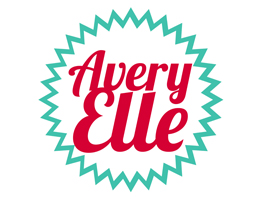 Avery Elle is a small; family owned corporation located in Southern California that launched production in June 2012. Avery Elle pride themselves on their high-quality stamps dies, and ribbon being manufactured in the USA. All of Avery Elle's patterned paper pads, ink pads, and note cards coordinate with one another, taking out the guesswork of coordinating your paper crafting supplies!